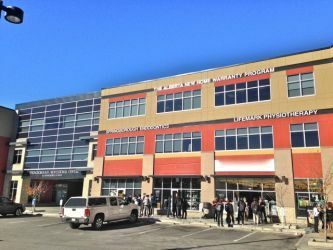 Lifemark Physiotherapy Springborough is located just west of the West Side Rec Centre, within walking distance of the 69th Street LRT station. 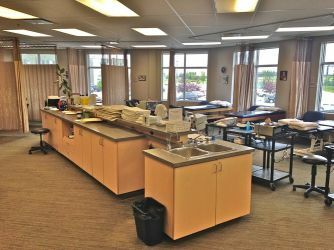 Located on the second floor of the Springborough Prof Building, it is easy to find us when heading west on 17th Ave SW and intersecting 69th Street SW.
Free parking is available in the back of the building (your license plate must be entered on the parking meter onsite). 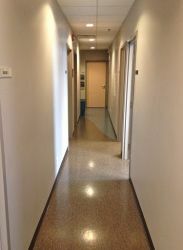 There are elevators available for easy access. 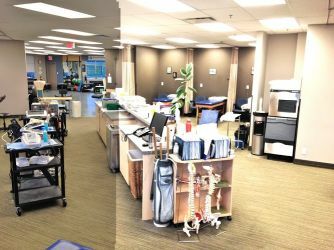 Lifemark Physiotherapy Springborough (formerly known as West Side Rec Centre clinic) is one of the most well-established physiotherapy clinics in the SW quadrant of Calgary. 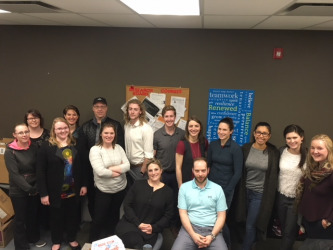 With over 150 years of combined clinical experience, 20 clinicians and six admin staff, our team proudly provide great quality service and a large variety of disciplines and specialties, including massage therapy and acupuncture. 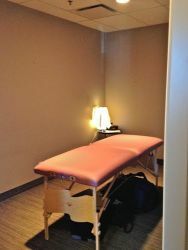 Please phone us with any questions you may have or to book an appointment. 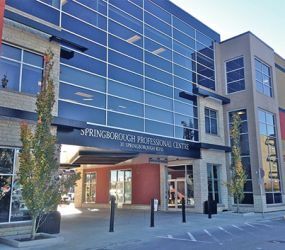 Alternatively, you may email us at springborough@lifemark.ca. 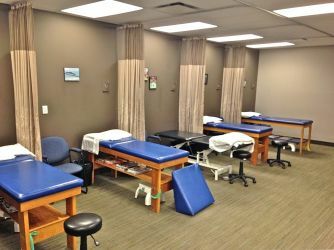 We have over 8000 square feet of physical space, 16 treatment cubicles, four private treatment rooms for physiotherapy, massage therapy and acupuncture, pilates/yoga studio, whirlpools, and a large exercise/gym area. We look forward to working with you. 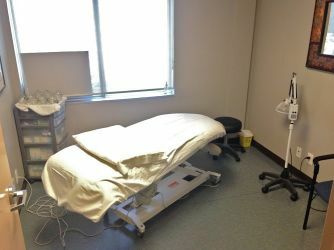 We provide physiotherapy, dry needles/Intra-Muscular Stimulation (IMS), Pilates, yoga, personal training and exercise prescription, hand specialist, orthotics braces, family medicine, modalities (ultrasound, electrical modalities, decompression / traction), traditional Chinese acupuncture, dizziness and balance rehab, massage and manual/manipulative therapy all under the same roof, allowing us to integrate and customize patient care to its maximum potential. 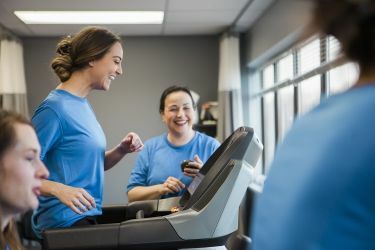 We have helped thousands of patients recover from their musculoskeletal disorders or related problems, such as injuries sustained in motor vehicle accidents, worker compensation claims, post-surgery and fractures and sport-related injuries, through physiotherapy and a variety of rehab modalities.